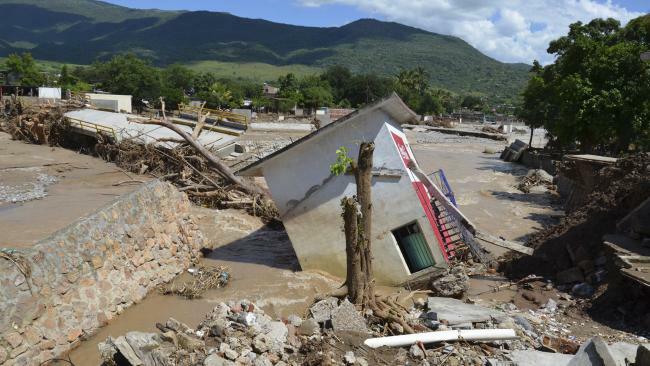 A mayor in northern Mexico says heavy rains caused a half-built church in a suburb of Monterrey to collapse during Mass, killing a 10-year-old boy and injuring 24 church goers. Juarez Mayor Rodolfo Ambriz says the injured were taken to local hospitals where the severity of the wounds is still unclear. The boy died on his way to the hospital. The Roman Catholic Church of Santa Clara de Asis was under construction and a tarp had been put up as a roof. Authorities say a cold front brought heavy rains to the northern state of Nuevo Leon that apparently brought down the tarp Sunday morning and the concrete structure with it.